A deliciously perfect end to a summer meal, this dessert made with fresh fruit is a cinch to make and will impress your guests. 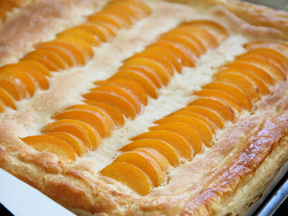 Using frozen puff pastry, fresh apricots, and almond cream, you can bake up this delicious, crowd-pleasing recipe! 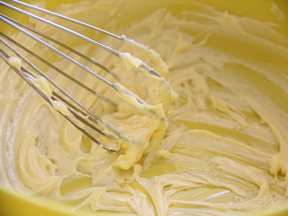 Step 1: Whisk softened, room temperature butter in a medium sized bowl, until creamy. 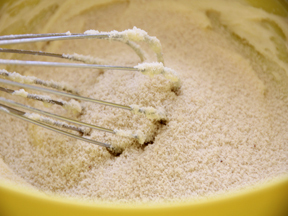 Step 2: Over the butter bowl, place a fine mesh strainer, and sift in powdered sugar. 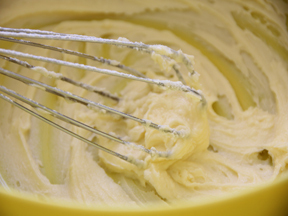 Whisk until fluffy. Step 3: Gradually sift in the almond meal and flour. Mix until well combined. 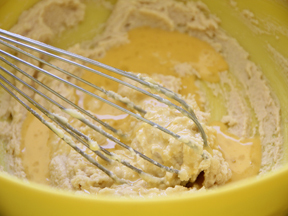 Step 4: Pour in vanilla extract and rum (if using), and then the eggs (reserve unused beaten eggs for the egg wash). Mix until smooth. Cover bowl with plastic wrap, and refrigerate your almond cream for at least 3 hours (or up to 3 days). 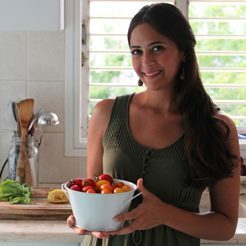 Step 5: Once you are ready to assemble and bake your tart, preheat oven to 400 degrees. 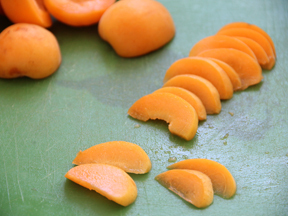 Step 6: Remove pits, and thinly slice apricots. 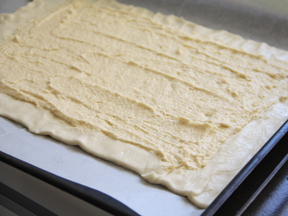 Step 7: Transfer puff pastry sheet to a parchment-lined baking sheet. Mark a ½ inch border all the way around. Evenly spread almond cream in the center (you won't need to use all of it). 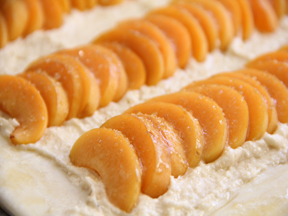 Step 8: Place sliced apricots directly over the almond cream. 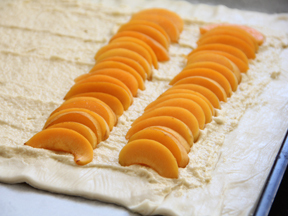 Step 9: Brush the apricots and the edges of the puff pastry dough, with the extra egg. 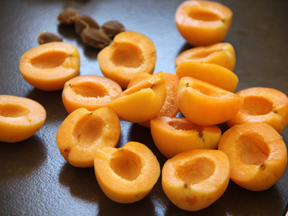 Sprinkle demarara sugar over the apricots. 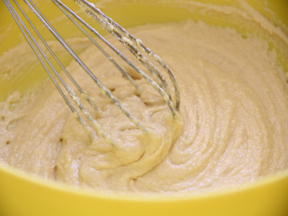 Step 10: Bake for 12-15 minutes or until crust is golden brown. Serve immediately. 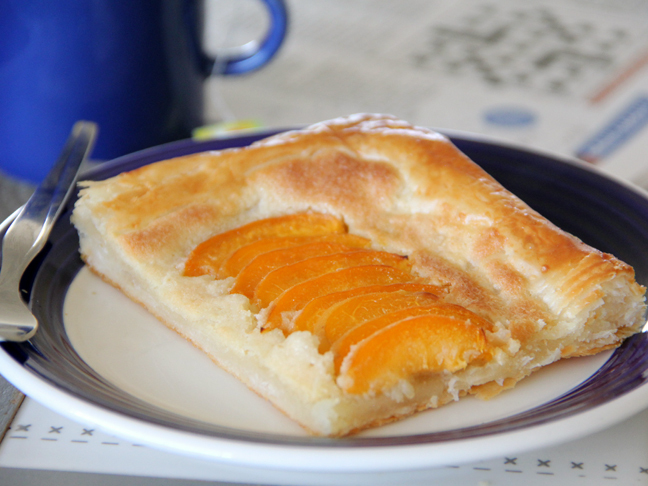 For a fall dessert recipe, replace the apricots with fresh pears.